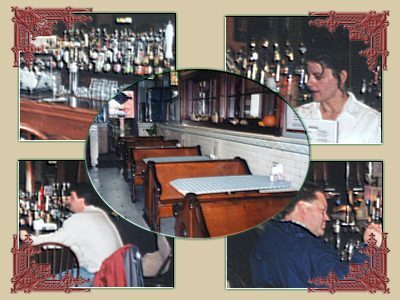 Feel welcome in our historic tavern with it's richly ornate back bar of cherry and mahogany and original stain glass windows. But most of all you need to see one of the last workable spittoons left in the state. We have many beers on tap and in bottles to satisfy any beer lover's taste. There is also a complete wine list and mixed drinks to go with our great tasting tavern menu. Kick back and relax in our neighborhood tavern!